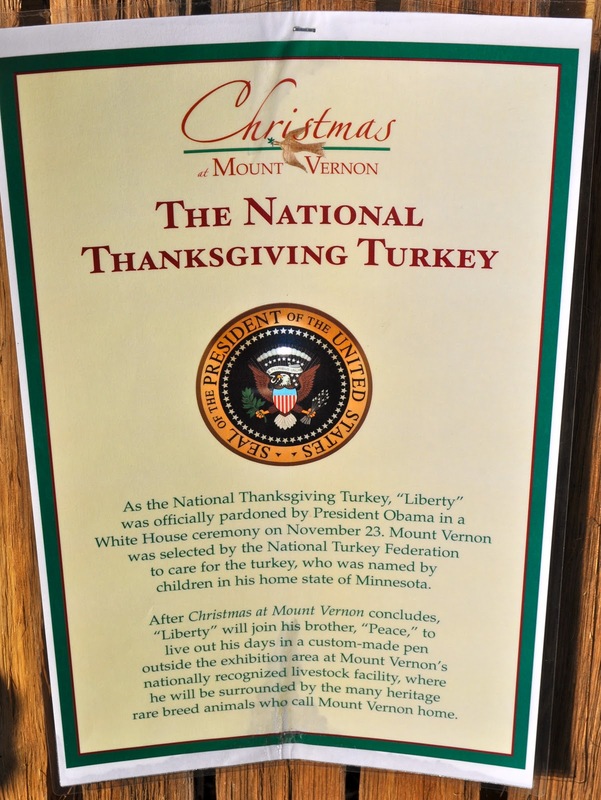 We finally made it to Mount Vernon. 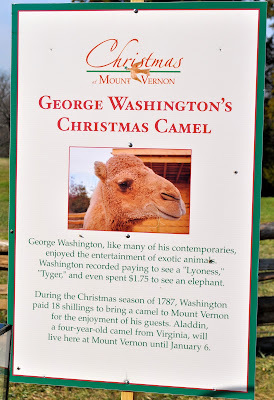 Christmastime is a great time of year to go to Mount Vernon because there is a camel, endless Christmas decorations including a miniature Mount Vernon fabricated in gingerbread and chocolate, and it is the only time of year they open the third floor of the mansion to visitors. Of course, you can't take photos inside the main residence, so you'll just have to trust me that it is worth a visit or you can click here and see for yourself. 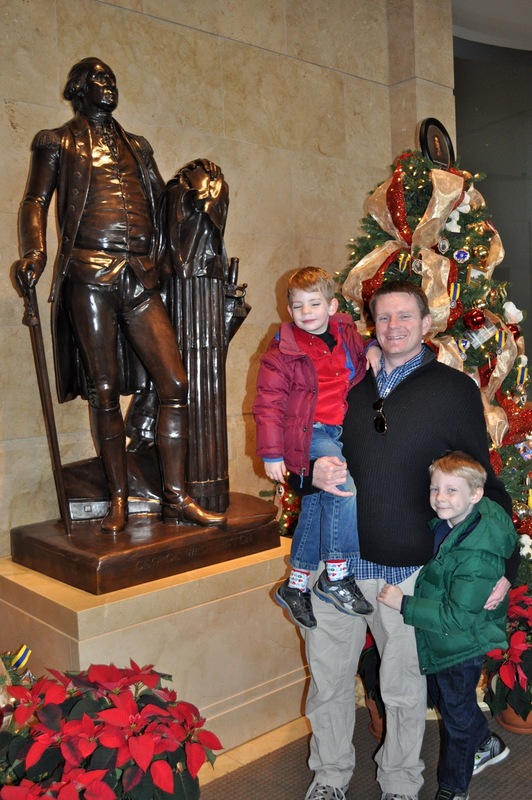 This was not our first pilgrimage (it is 14 miles from DC, after all) to George Washington's home, but it was Isaac's first time and the only time we have every been during the Christmas season. Despite being very chilly, it was a beautifully sunny day and there were very few other visitors to contend with. In the past we have had to share space with the masses and even though the grounds are extensive, tripping over other tourists, especially when it is blistering hot, can get tedious. We opted out of exploring everything today and spent the bulk of out time at the mansion and visitor's center. When the boys are older, we'll go back and make the long trek to the tomb, the wharf, the slave cabins and the 16-sided barn. Our merry band of visitors posing with the Potomac River in the distance. The mansion from the back. They could have done this all day long. The obligatory "we were there" photo op. 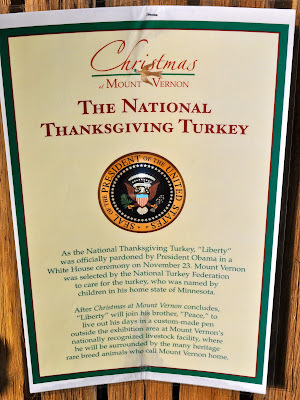 Liberty, the National Thanksgiving Turkey. Want to know more about Liberty? Read this. See those faces peeking through the split-rail fence? They were just delighted to see and pet Aladdin. 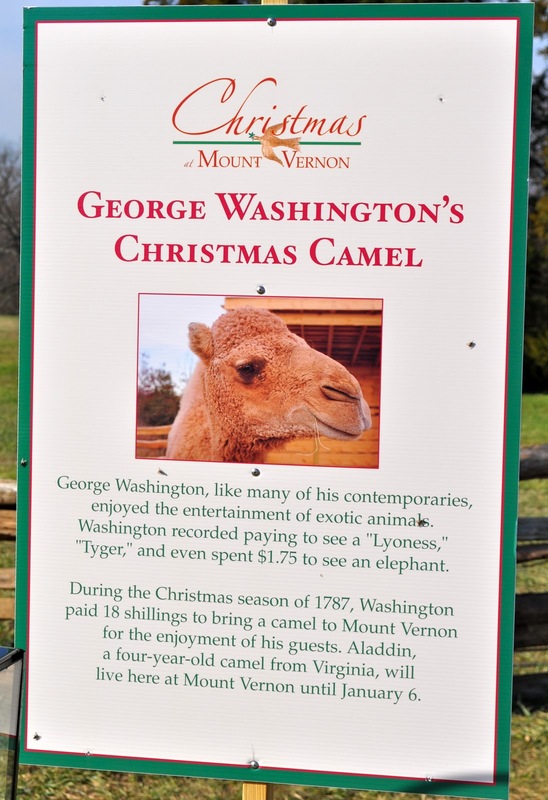 Why is there a camel at Mount Vernon you ask? Mount Vernon in gingerbread. This was made by a professional chef and required countless hours to produce this very complete replica.